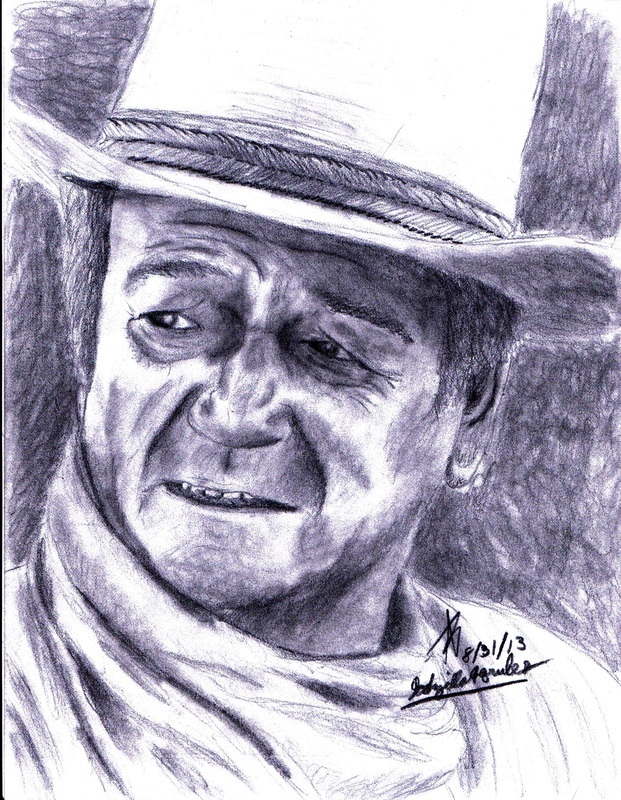 I tried another attempt with another portrait of John Wayne. He is my latest portrait as of this post (9/10/2013). I tried a different technique that I'm trying at the moment, but not too comfortable with. His proportions are great, but his mouth is a bit too low.